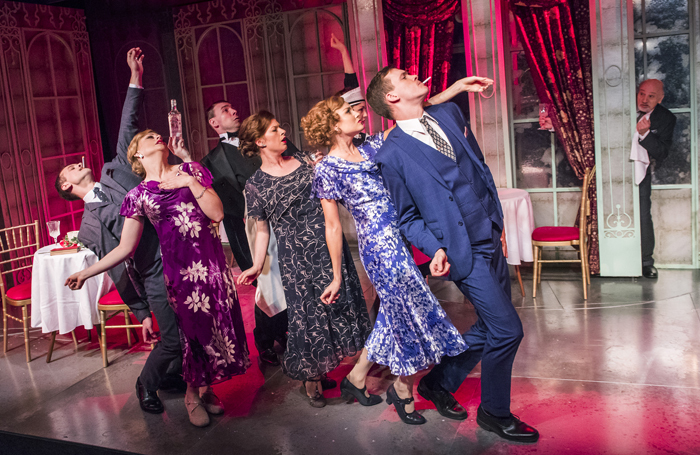 For their popular annual winter musical, Menier Chocolate Factory serves up a delectable chocolate box of melodies with Golden Age romantic musical comedy She Loves Me. The deftly realised production makes maximal use of the relatively modest space. Designer Paul Farnsworth employs four side-by-side revolves, which dissolve the street scene to the exquisitely ornate pink and gold interior of Maraczek’s Parfumerie. The ingenuity continues throughout the scenic design, as sliding panels and replacement segments maintain the decorative theme while creating other locations. Costumes and hair give a strong suggestion of 1930s Budapest without becoming too restrictively traditional. Amalia’s purple floral ensemble, worn for her first meeting with Dear Friend, is a lovely highlight. The ensemble women are well-served, wearing glamorous outfits that suggests that each of the female customers never leave the house without a fox fur on her shoulders, gloves on her hands and a permanent wave in her hair. Given the quaintly European visuals, director Matthew White makes the interesting choice of having the characters speak with British accents. These are not just neutral, I’m in a play, accents, but distinctive accents that designate class and station. The accents suggest a similar a background to what the characters would have had in Budapest. The intimate performing space allows facilitates an especially close connection between characters and audience, allowing the nuanced developments of the three very different love stories to be keenly felt. In this distinctively musical comedy, Jerry Bock’s gorgeous melodies and Sheldon Harnick’s witty lyrics are intricately woven throughout Joe Masteroff’s carefully plotted book. 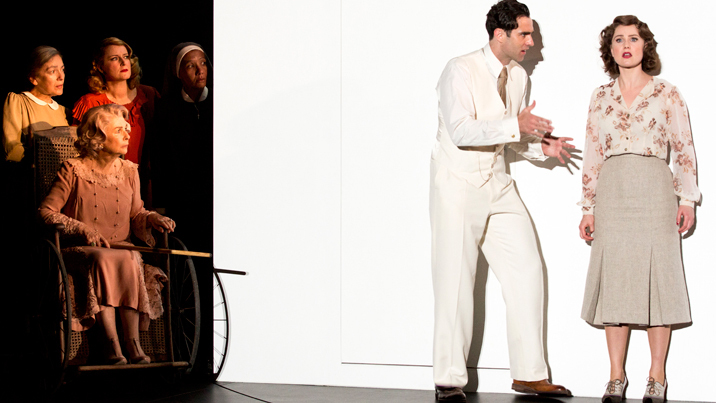 White makes a witty nod to the composers’ bet known hit, beginning the show with a fiddler on the roof street. 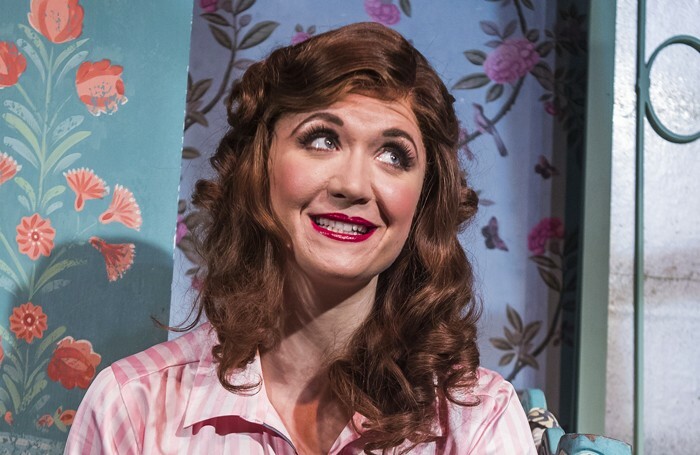 Scarlett Strallen plays dear Amalia as a modest young woman who has little confidence or flair in her wide doe-eyed, peaches and cream beauty. Strallen wins hearts with Amalia’s tender fragility, giving a beautifully modulated performance that really brings the audience to her. Above all this, the real highlight is the sublime quality of Strallen’s crystalline soprano, which is an absolute joy to hear. Katherine Kingsley adopts a strident style as Ilona, contrasting noticeably with her more restrained castmates. Still, her sassy characterisation is a real crowd pleaser and she successfully conveys Ilona’s lack of self-esteem despite her glossy veneer. Kingsley hits her peak with three act song “A Trip to the Library,” interpolating a male character’s voice to great comic effect. Dominic Tighe conveys Mr Kodaly’s unflustered sleaziness with charm. Les Dennis balances the curmudgeonly and kindly aspects of Mr Maraczek. Callum Howells is an effervescent bundle of energy as delivery boy Arpad. 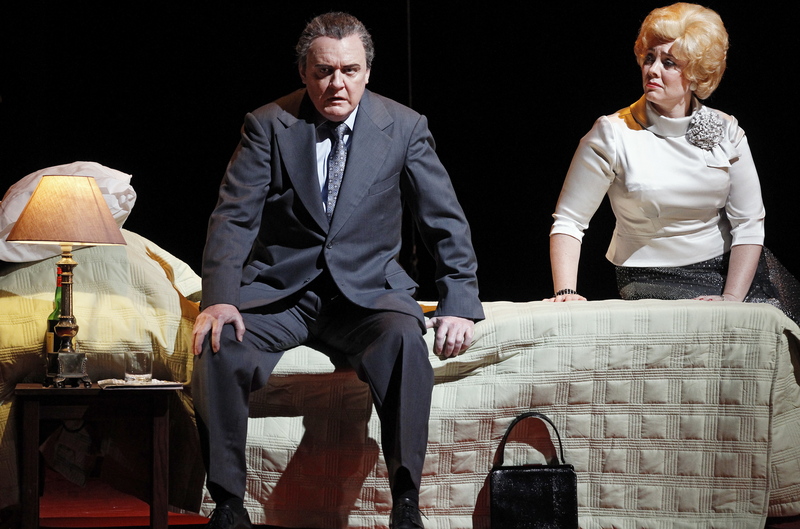 Cory English delivers a memorable cameo as tightly wound Head Waiter at Café Imperiale. The ensemble is a generous size, comprising of eight singer-dancers. There isn’t a large amount of choreography for Rebecca Howell to contribute, but she ensures that “Tango Tragique” is a nifty showstopper. 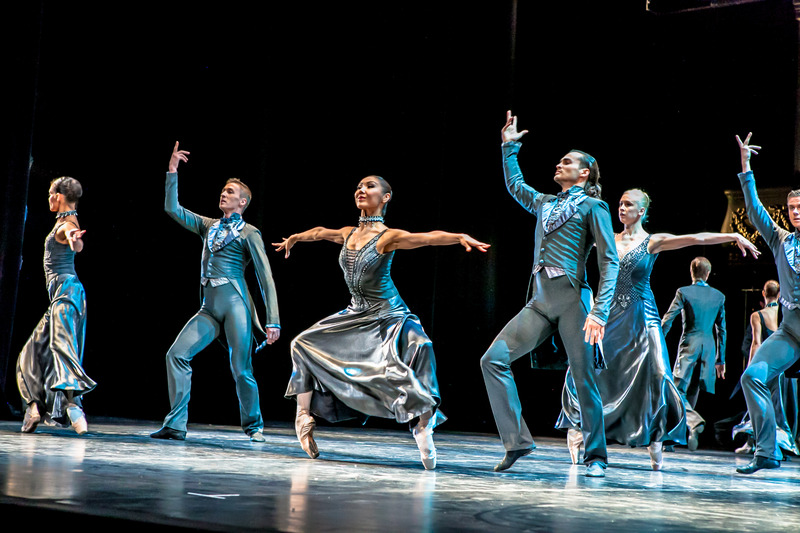 The overture and linking scenes are staged choreographically with a stylistic vocabulary. Jason Carr’s orchestrations are a feature of the production, providing a lively, vibrant accompaniment. It is an especial pleasure to hear accordion used so prominently. 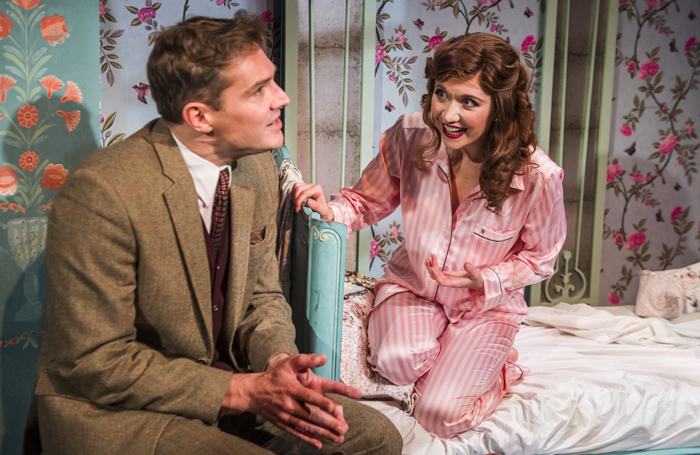 This charming production of She Loves Me is the ideal winter warmer; attendance is highly recommended. She Loves Me was reviewed 8pm Friday 6 January 2017. 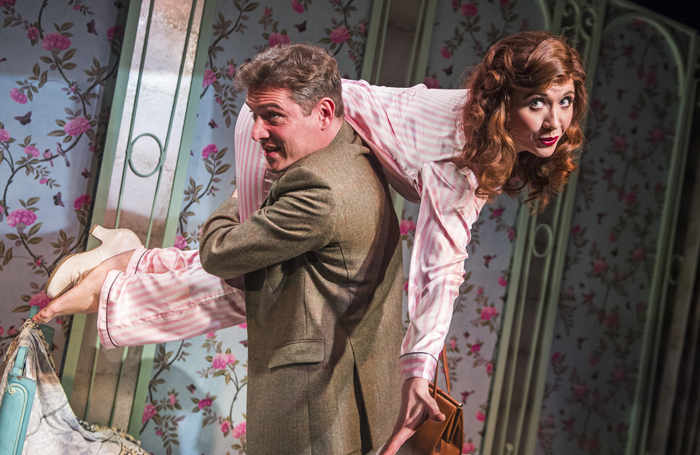 She Loves Me plays at Menier Chocolate Factory until 4 March 2017. 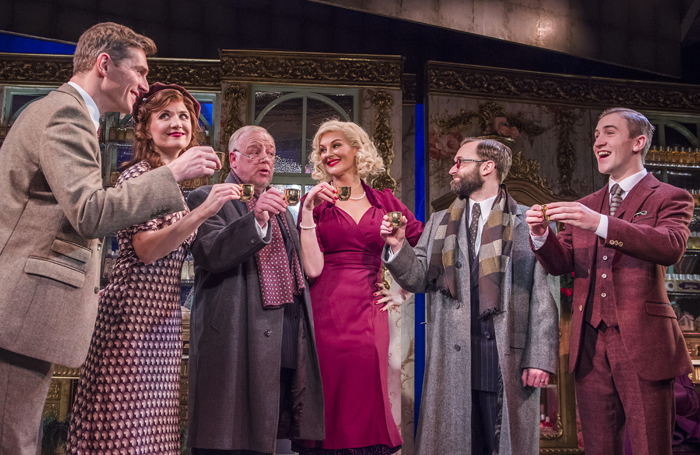 Man in Chair reviewed She Loves Me on Broadway in March 2016. What a fun show. You sound like you are having the time of your life, too. It certainly sounds like a different take on the Roundabout Production I saw at Studio 54 last year. All the more reason to think that either production could be staged in Australia. I’m having a very lucky run of two show days. Feeling very spoilt by London theatre. Funny for New York and London both to re-discover She Loves Me in the same year. All the better for the audiences who love it I guess!